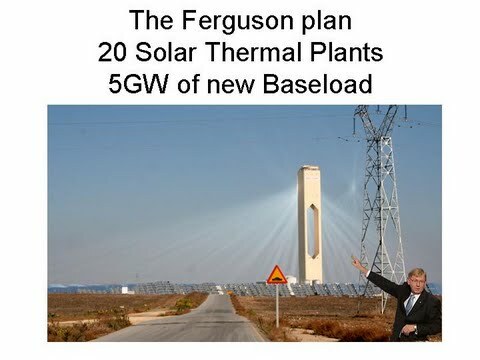 The Ferguson Plan is a bold initiative to construct 20 solar thermal power stations across Australia to produce 5 gigawatts of baseload electrical power. This will be an enduring legacy of Martin Ferguson, Minister for Resources, Energy and Tourism in Australia. This will put Australia firmly on track to meet a target of zero emissions by 2020. This page was last modified 12:24, 11 April 2010.